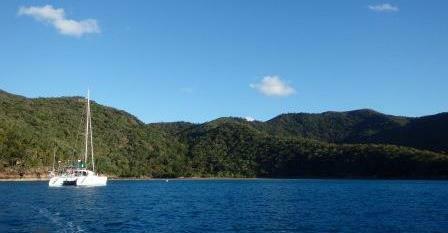 The island is almost entirely a National Park with several beaches and its own coral reef. We went on shore to explore and found a resort looking like a phantom place. Beach chairs, tables, water sports equipment, all looked abandoned as if everybody had just run away. Apparently the resort was closed for refurbishing in 2011 and never opened again. After walking around we finally found what looked like a security guard sunbathing in one of the verandas. It was all a bit weird. The curlews display an interesting behaviour. When disturbed, they freeze motionless in all kinds of odd-looking postures. They are usually on the ground and are fast and agile until all of the sudden they freeze and remain unmoved, until whatever they see as a danger is gone. We’ve seen them many times later, displaying this behaviour around people, in outdoor restaurants or picnic areas probably looking for food. Amazingly too, for a while we have wondered about strange and loud cries in quiet nights, until somebody told us these are the ‘noisy’ curlews. Their high-pitched calls are described as a 'whistling concert', it is their contact call, and may be given by several birds in a chorus. Our next stop was Goldsmith, another gorgeous place, where we stayed for a day. Around the Whitsundays the scenery is beautiful everywhere you look. We found Goldsmith full of marine life with fish jumping all over the place and many turtles coming to the surface to breath all around the anchorage. We anchored at the south tip of the island and were the only ones for the night. Late afternoon we went ashore for a walk, the tide was quickly filling the beach which is very flat, it was a long walk from the dinghy up to dry sand in the beach. The weather was settled and next day we sailed to Thomas. This island is especially attractive to Oscar as spearfishing is allowed and there are lots of good spots promising good fishing. We were having a quiet time at anchor with just a couple of other boats when a caravan of motor yachts invaded the place with loud music and shouts of excitement, and we thought, here we go, party tonight. But the peace of the place must have overcome them as very soon all was quiet, the music gone and nothing else was heard after that. On our way again the next day we had a look at Lindeman Island but the anchorage seemed exposed to the SSE winds blowing at the time and we decided to head to Cid Harbour instead. This is a very protected anchorage and very popular. It's good that is wide with plenty of space for all. We couldn’t believe our eyes when we saw Songline passing by and anchoring nearby. Songline is Zenitude’s sister boat and we met Phil and Cristina, her previous owners, in San Blas Panama, crossed the canal in 2010 as line handlers for them. From there we both followed the 'Coconut Milk Run' crossing the Pacific all the way to Australia during that year. Four years have passed and not long ago we visited Phil and Cristina in their lovely new house near Brisbane. Even though crowded it was very peaceful at the anchorage. We jumped in the dinghy and went to meet the new happy owners, Karen and Ron, who gave us a very warm welcome and wanted to know all about our Songline stories. From Cid Harbour we moved to Nara Inlet where we had a peaceful night despite the fact that we were not totally happy with our anchor spot. We anchored at the very end of the inlet but later we though that would have been better to anchor next to a beach as shown in the guide. Nara is protected but the SE wind gets in the corridor and we were just strait down at the very end of this corridor. The inlet is magnificent with green slopes and clear turquoise waters. We arrived late and left early the next day with the idea of coming back as we couldn't go onshore to visit the Aboriginal cave shelters and the waterfalls. 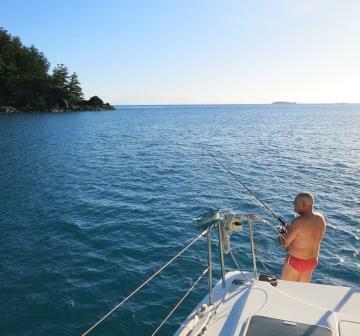 Next day we left towards Hayman Island, grabbed a mooring for a couple of hours and later on continue our travels towards Butterfly Bay in Hook Island. It's a beautiful spot as long as you find a mooring for the night; otherwise the anchorage is deep behind all the moored boats. We found a mooring and spent the night there. The reef seems lovely but the water was cold for snorkelling. We left Butterfly Bay next day after lunch and went to Stonehaven Bay. We were lucky to find a free mooring and then tried our best with the dinghy to find a cut in the fringing reef to reach the beach but the tide was low and we couldn’t find an opening where to land in the beach. Another place we need to come back on a warmer day to snorkel around. There was internet in Stonehaven and we could confirm the forecast of settled weather and less than 15 knots wind for the next 3 days. It was a good time to leave the islands and go to Bait and Hook Reefs. 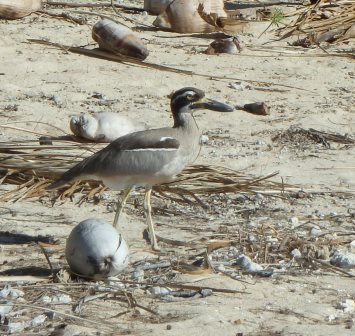 We also had a first sight of a stone curlew. Having never seen this bird before we didn’t realized until much later what type of bird it was. We were amazed at how graceful and beautiful these Australian birds are. 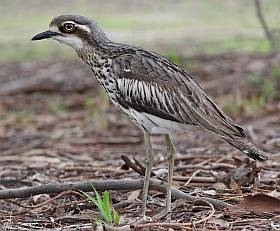 As incredible as it may seem, I got fond of these sounds during nights at anchor in north Queensland and miss the curlews' whistles when the cruising season is over and we come back south. Our first stop from Mackay was Brampton Island. 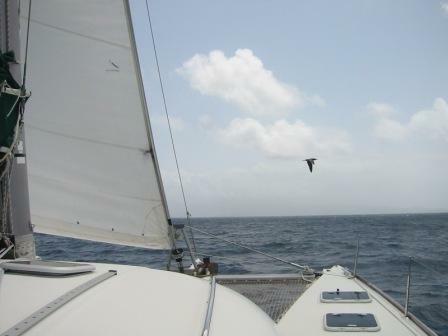 The trip was short, just 20 miles with the wind dead on the back and seas on that washing machine style. Because the area is shallow, winds of just 15 to 20 knots create a choppy and messy sea. Arriving to the protection of Brampton Island we happily dropped anchor in a quiet bay just before lunch. The forecast was for strong wind and accordingly we stayed in this protected area for a couple of days. 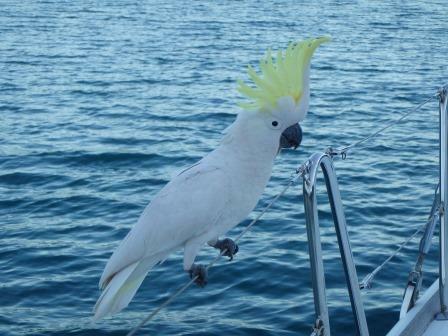 There was a cockatoo visiting all the boats around to get a snack. We think he’s probably a regular who figured out that at least a couple of boats will feed him some nuts.